The healthy alternative to rawhide. Rawhide free, highly digestible, low fat and 100% delicious. 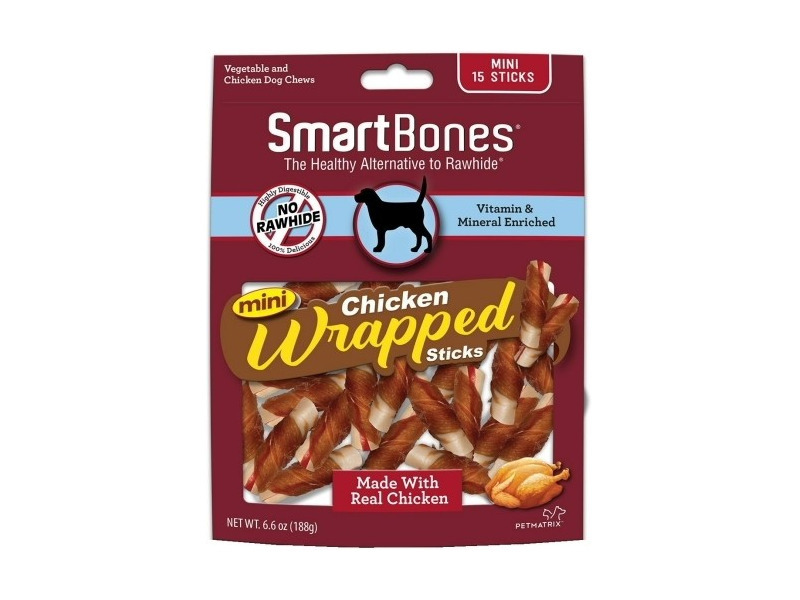 These smart bones are made with wholesome vegetables, real meat, and vitamin and mineral enriched, the SmartBones treats are delicious, healthy and irresistible to dogs. 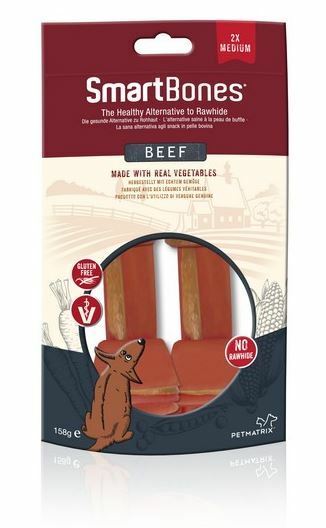 No rawhide, highly digestible, no added sugar, low fat and a vitamin and mineral enriched patented design. Composition: Cereals, Meat and Animal Derivatives (Chicken 16.0%, Beef 4.0%), Derivatives of Vegetable Origin, Vegetables, Minerals. There are currently no questions for SmartBones Dog Treats - be the first to ask one!